Hey Hey Friday. Super excited to see you! Thanks for bringing a gorgeous, sunny, sky with you. You are the best! 37 degrees, too?! We will take it! Another low key week over here as Brooke shared her sickies with me. Luckily, only down for 2 days and we are working towards the weekend with renewed hope of normalcy! Since the week was pretty quiet, here are some faves! *Still thoroughly addicted to checking on April the giraffe! She is gonna have this baby! Right?! 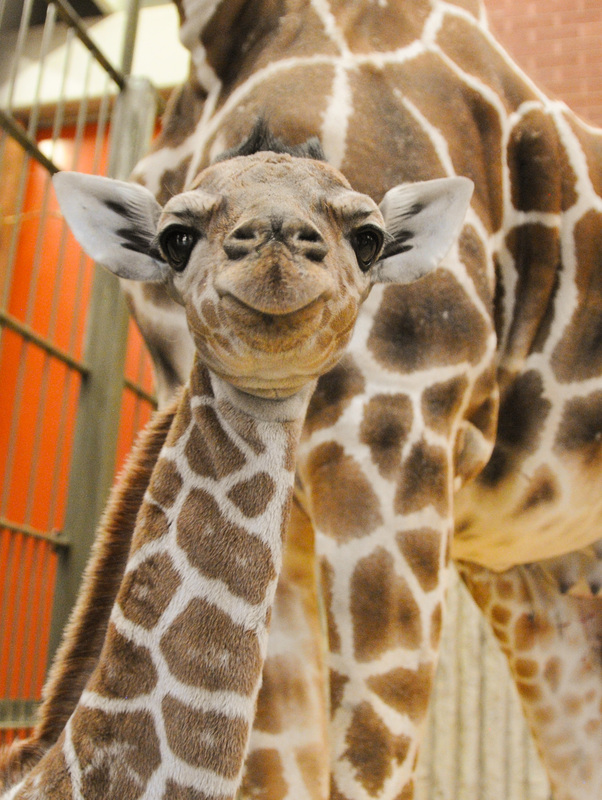 *Also, did you see that the Denver Zoo was surprised by the birth of a new giraffe this week too?! His name is Dobby. Can you even handle the cuteness!! Brooke and I are hoping to see him at the end of the month. EEEEKKK!! Check out those waves! Literally looked like there was an ocean in the sky. So beautiful. *Not to be outdone by the Blue bird day yesterday! Can you tell that we are getting excited for some warm(er) sunny weather over here?! We are supposed to be in the 40s this coming week (Minus the 21 degrees of Monday). So stinking excited!! If you have a kiddo, you know the phrase “I need a snack” better than probably anything else! I have come to loathe the phrase 😉 We tend to do mostly whole foods in the house (carrots, apples, pears, berries, celery….) but when we are out and about, these have become a go-to for me! Brooke LOVES them and their ingredients dont make me cringe! Plus, I love stealing them too! If you have been sick at all lately, you feel me when you I say that soft light is good light. I love turning this guy on as the sun starts to set (LATER!!!). Just makes me feel more grounded and relaxed. So good. We are almost done with Covert Affairs! Anyone have any recommendations for a new series that will make me want to get on the trainer (still going to need some cold day workout motivation!!). Hope you have a gorgeous and relaxing weekend!